Word just came out that yesterday the Russians accidentally set eight of their GLONASS (the Russian equivalent of GPS) satellite statuses to ‘unhealthy’ for about half an hour. Setting a satellite status to ‘unhealthy’ means the satellite is programmed to tell receivers to ignore the navigation signals it is broadcasting because there’s something wrong with the satellite and the signals can’t be trusted. Eight satellites constitutes over half of the GLONASS operational constellation. When this many satellites are set to ‘unhealthy’ it means that most advanced GNSS receivers will simply ignore the entire system and not even try to use their signals to calculate a position. This is not good news for the Russians, or for GLONASS users world-wide. (Got a smartphone? Then you are a GLONASS user whether you realize it or not). For years the GLONASS program has been plagued by corruption, poor management, poor planning, lack of funding and launch failures. The GLONASS program’s biggest problem has been money, or a lack of it. Global satellite navigation systems are frightfully expensive and require long-term capitalization and national committment. Only the United States with its NAVSTAR GPS system has been successful in establishing and maintaining a healthy world-wide space-based satellite navigation system for over 20 years. In Russia’s defense, at least they’ve been able to get a fully operational system up and running. The European Union has been stumbling around with their Galileo system for 15 years and so far about all they’ve been able to do is put a few test satellites in orbit. As they say on TV, “but wait, there’s more!” Back on April 1st the entire GLONASS system went wonky when bad ephemeris data was uploaded to the satellites. 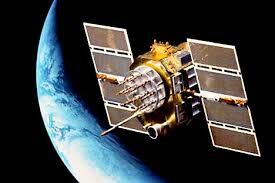 Ephemeris data is what allows each satellite to accurately locate itself while in orbit. Ephemeris data is updated regularly for all satellites in a system – it’s part of the routine system maintenance process. Well someone uploaded bad ephemeris data files to the entire GLONASS constellation and for 11 hours every satellite in the system was squawking bad navigation data. The Russians didn’t realize it until one of their commercial customers called to tell them their satellites were providing lousy location fixes. Better keep those paper maps and magnetic compasses handy. This entry was posted in Technical and tagged glonass, gps by Brian Haren. Bookmark the permalink.